OSD Audio’s SVC100 is an impedance-matching volume control that lets you adjust the volume of a pair of speakers independently of other speakers within a whole house audio system. Ideal for areas such dining or conference rooms where you may want softer volumes or for saunas or garages where you may want higher volumes, the SVC100 maintains the full hi-fi audio frequency response with no low frequency roll-off. Equipped with the same features of volume controls that cost twice as much, the SCV100 is rated at 100 Watts peak and includes adjustable jumpers to add up to eight pairs of 8-ohm speakers simultaneously. The impedance-matching feature helps stabilize the ohm load going back to the amp or receiver to avoid overheating and damaging expensive equipment. 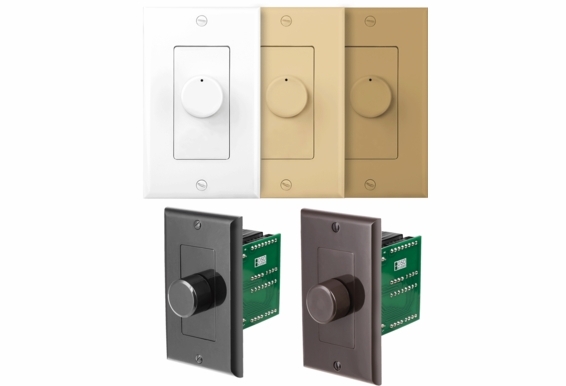 A complete volume control kit that fits into a standard single-gang box, the SVC100 also includes the junction box, screws and assorted color trim plates (white, ivory and almond) so you can choose the color that best matches the room. 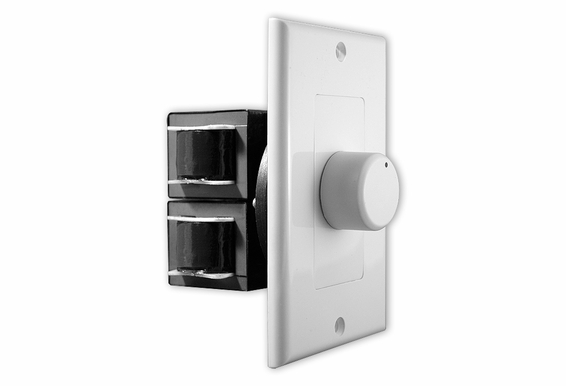 This versatile whole house volume control is compatible with almost any dedicated audio zone or whole house system, and the 12-step rotary knob adjusts the volume from inaudible to loud and everything in between. Speakers are specified by impedance, which is a measurement of resistance to alternating current, and a common value for speakers is 8 ohms. When you’re connecting multiple speakers to a receiver or amplifier, you need to stay above the amp’s minimum load requirements because going below the impedance rating can overheat or even damage expensive equipment. The SVC100 allows you to match the impedance with the number of speakers being controlled with the capabilities of your amp. A basic multi-room system will typically have an amplifier/receiver, a speaker selector, four to eight pairs of speakers, and volume controls. Impedance-matching volume controls feature three settings depending on how many speakers you are connecting. For one to two pairs of 8-ohm speakers, the setting is 1/2x; for three or four pairs of 8 ohm speakers, the setting is 4X. Keep in mind that volume controls do not add gain (volume) to your speakers but simply attenuate the volume up or down. During setup, you'll set the source volume to its optimum level, then the volume control turns the sound down to inaudible levels. All speakers have an impedance rating, typically 8 ohm for a pair of home speakers. To operate in the safest mode, most standard amplifiers and basic two-channel receivers are rated for an 8-ohm incoming load. To operate safely and consistently, the amp needs to see an 8 ohm load, and that’s where speaker selectors and impedance-matching volume controls come into play. 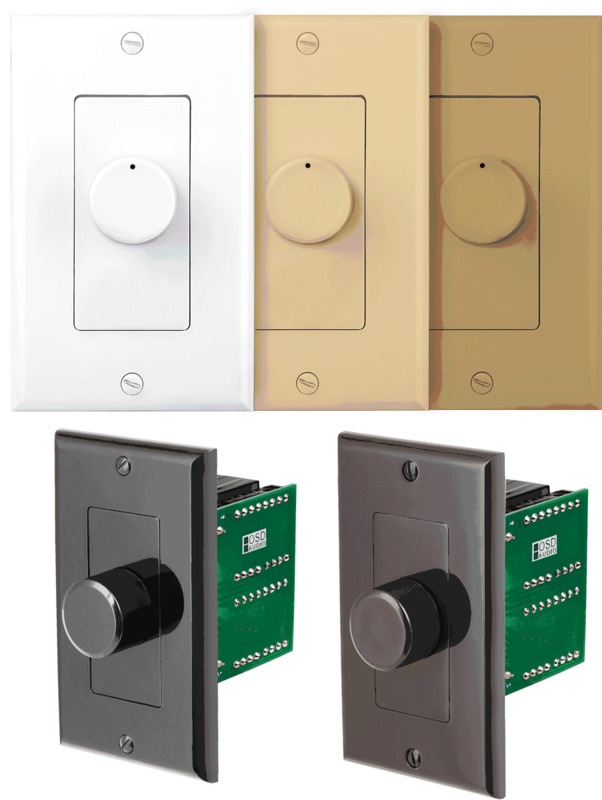 In a basic multi room system, only a Speaker Selector is used to connect the speakers to the amplifier/receiver. 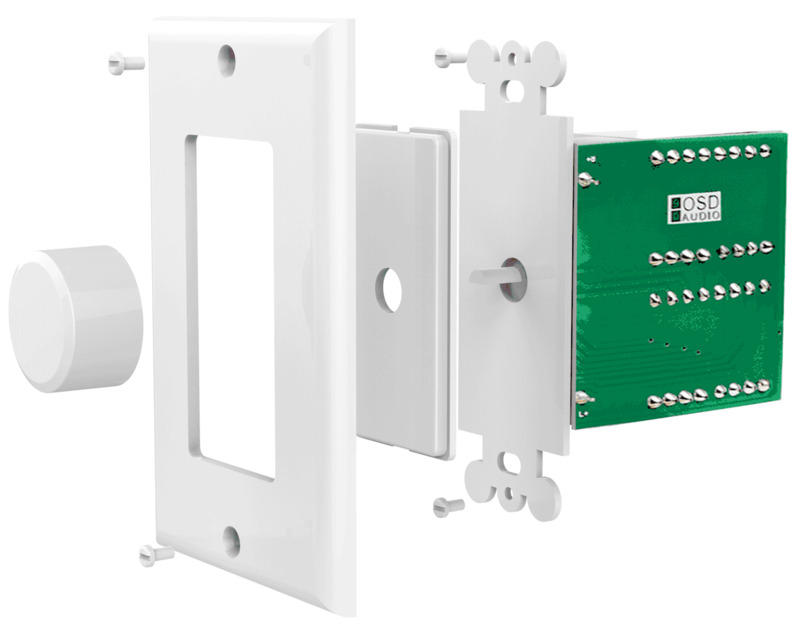 Not only does the Speaker Selector allow you to connect multiple speakers to the amplifier but also adds internal Impedance Protection which is enabled by a manual protection switch. 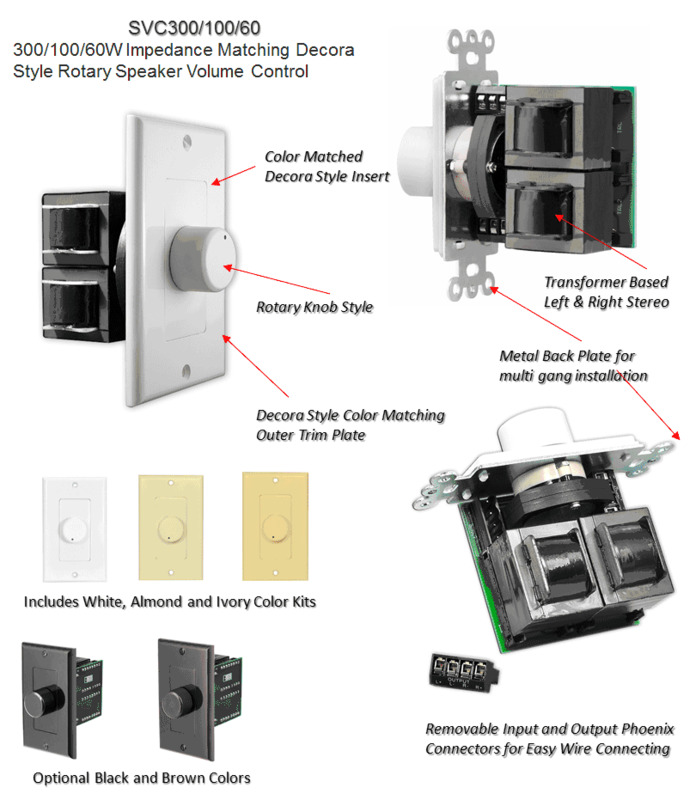 Both our ISS and DSM series Speaker Selectors feature internal Resistors that protect the amplifier. 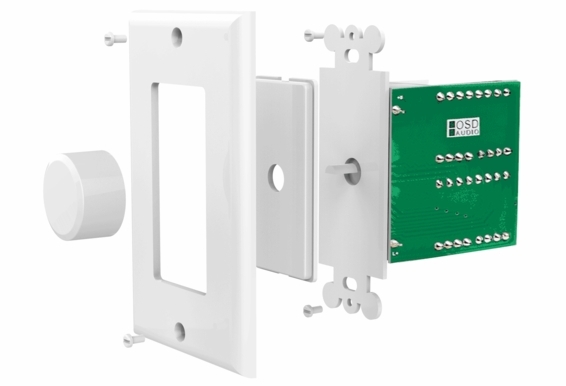 The down side is that the power rating normally 140 watts is cut in half when the protection switch is enabled so rated at 70 watts with protection. 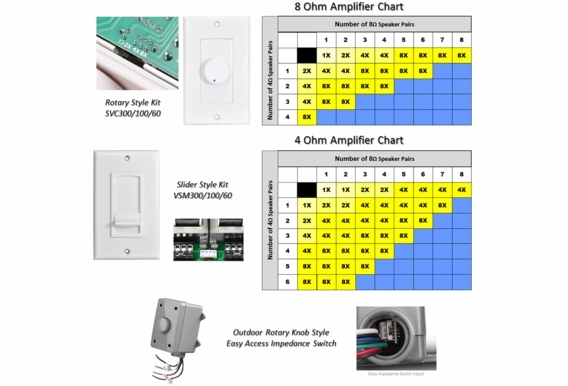 In a standard multi-room system (using Impedance Matching VC) you will typically have an amplifier/receiver, a speaker selector with 4 to 8 zones, and volume controls connected to all the speakers. Impedance-matching volume controls provide more precise protection for the amplifier/receiver versus the protection built into the standard speaker selector. Plus with the protection switch in the off position you will have the maximum power handling capability of the respective speaker selector. 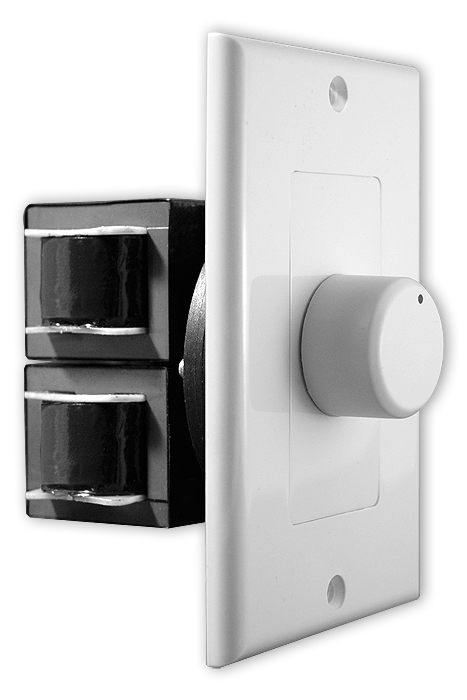 It is important that the protection switch is turned off when using the Impedance matching Volume Controls. Most impedance-matching volume controls feature three standard settings: 1/2x, 4x and 8x, while some add a 16-ohm setting like our VMS series. These settings correspond to a chart in the owner’s manual based upon the type of amplifier (4 or 8 ohm) and the number of 4 or 8 ohm speakers that you will be using in the multi-zone/room/speaker system. You can use both 4 and 8 ohm speakers when setting up your system. But you need to count a 4 ohm speaker as two 8 ohm speakers when calculating your Impedance setting. I have four zones that will be powered by an AMP200 or AMP300 and switched by a selector with impedance protection switched off. All speakers will be 8ohm, and all will be controlled by SVC100 controllers. One zone will terminate to an A/B, A&B switch, then run into two volume controllers. I will sometimes switch to both A and B powered at the same time. Having this one zone wired with four speakers in parallel, what should I set my volume controllers to? Should the two-volume controller's zone be set differently than the other three? Will this cause this zone to have a lower volume since its now a 4ohm load? Thank you. I have a 4 ohm amp driving two 3 ohm speakers. I want to install a volume control to control each speaker volume independent of the other. Or I would like to control one speaker and use the standard volume output on the other speaker. Any idea what I need to do to control the speaker volumes independently? When wiring my home audio we only ran from the reciever (1) 2 wire conductor to each volume control. From each volume control we ran the same wire to each speaker. I have 2 speakers set up for each volume control. How can I make this set up work knowing that I won't be hearing in stereo? Can this be used with a single 8ohm speaker? what jumper setting? I am connecting my new SVC100 slide volume control (replacing an old rotary control) to two sets of outdoor speakers which share one set of output lines from my amp. The wires are spliced together in my attic. Am I right in setting the switch to 4X? What type of box will I mount this into in new home construction? I currently have soundolier attenuators model #331735 and need to replace the one on my lanai (its 24 years old)....will your Svc 100 work? Looks similar to what I already have. I tried one from another company with different wattage and could not get it to work. Just looking to confirm this volume control will handle two 250 watt/4-8OHM speakers....and if so, would I need two or four wires leading from the volume control to the amp? Can I add 2 pairs of speakers to 1 volume control? I just purchased the 4 zone home audio kit with these volume controls and have a question about how many wires I need to hook them up. I am currently in the middle of building a home and was trying to be proactive with running wires before they sheetrocked however my knowledge on this stuff is very limited. I only ran one wire from where the receiver/amplifier will be to where the volume controls will be in the wall. However, looking at the diagram for this volume control it appears that I need to have two wires running from the receiver/amplifier to where the volume controls are. Is this correct? The house is now sheetrocked and won't be easy to go in and try to run another wire. Do I have any other options? 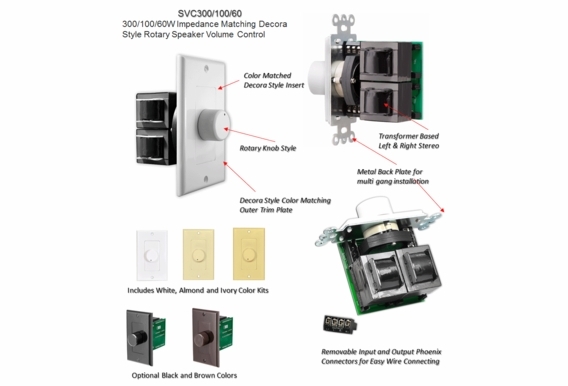 I ordered this SVC100 Volume Control to replace a NXG NX-V70 Volume control that was not working (one of the two speakers connected to this NXG VC was silent). When I installed the SVC100 both speakers connected to it play but the volume control does not change the volume of the speakers at all. It's the same volume with the switch setting at each of the 3 switch settings 1/2x, 4x or 8x. This volume control runs back to a pyle speaker switch without volume control. There are 5 sets of speakers going through the speaker switch and the other 4 sets work fine with their NXG NX-V70 volume control. Unfortunately that volume control is no longer available. Why doesn't this SVC100 volume control work for me? I'm looking at adding something to my RV to control the different zones that it currently has. I find the speakers in the RV are to loud and the ones onutside are too quiet. It is the typical car stereo set up. 12Volt DC supply. Each speaker is controlled with its own feed. Each zone (3 in total) has two speakers each with its on feed (Left/Right). Would something like this work? Thanks. Im about to set up an 8 zone whole home audio system using 8 pairs of ICE610 speakers. Will these volume controls work? Just curious about the wattage per channel...not sure if the speakers need to be higher watts or maybe volume controls need to be more watts per channel. I'm going to be using my Onkio receiver to power 2 pairs of Polk Audio RC80i, one set in the master bath channel A and one pair on the back porch. I'd like to run one of these volume control on each channel, two total. I would run both volume controls at x1, correct? Thank you!! Hello Scott, If you are running 2 pairs of speakers, go ahead and set both of the volume controls at 1/2x! Hi Bill, Our indoor volume controls have a 5-Year warranty. Thanks! I am going to have my left and right speaker in two adjacent rooms that are separated by a door. Can I use one volume control for each speaker? Basically it would be a volume control for the left speaker and a volume control for the right. Hi Roger, That would create a 16 ohm load back to your amp/receiver, which most receivers aren't built to handle but if it could, then that should be fine. Understand that you would be separating stereo though. house was pre-wired with 6 zones, one pair of speakers per zone. There are OSD VCs and speaker selector. The receiver was a Sherwood Rx4109. The system as setup caused the Sherwood to become inoperable. Tried a Pioneer receiver. Same result. Put in a Dayton Audio 12-channel amp, with 40 watts per channel. The system sound has static and the warning lights on the front of the Dayton amp flash from blue to red, to blue, to red (blue being the normal operation indicator) within minutes of powering the system on. I think the speakers are OSD, but they're in the ceiling and I have not pulled them yet. The VCs have SVC-70 SHH-009 printed on the circuit board, so I assume that's the model. Any suggestion to get this whole house system functioning optimally (one zone does feature speakers mounted outside on the deck). Hi Mark, You can't run a system like that with a receiver. You'll need a high-current amplifier. Check out our AMP300. Want to attach 3 pairs of model AP450 or AP490 speakers to my older JVC RX662V. This receiver has an output of 110 watts per channel into 8 ohms. This receiver has 2 buttons for 2 sets of speakers. These new speakers would alone be on this second circuit. My GUESS is the amp can handle it since the surround sound side is driving 6 speakers with ease. Since I want volume control, is the impedance-matching control the way to go? However, Viewing the on-line Owners Manual, I don't have a clue as how it should be wired. THANKS! I am totally confused about the impedance settings!! I have purchased 3 of these VC's and 3 dual voice coil ICE800TTWRS Stereo speakers. I will be running all 3 from my Zone 2 connections from a Yamaha RX-V673 amp. a) Can I just connect all 3 straight to my amp? b) What Impedance setting should my VC's be set on? The stereo speakers have an 8Ohm Impedance, but is that per coil or per speaker?? Thanks in advance for any help. I don't want to blow my amp up!! Have a question, if i am using this on 4 speakers do i need to have two speaker volume controls or i can i do it on one . right now the set up is i am using the b channel on my amplifier and going to your speaker selector switch then out to my 4 speakers . was putting the volume controll after the selector switch which is how i need to do it . any hepl will be appreciated . I am hooking up a Yamaha A-S300 integrated amp with six speakers - 2 pair of Polk OWM3s on Channel A, and 2 outdoor Yamahas on Channel B. I would like to put the two pair of Polks in two different rooms, each with their own set of volume controls. The amp is 2x60W RMS. The plan is to run Right and Left from Channel A out to two volume controllers, each with their own pair of speakers. Is there any problem with doing this, and what is the best way to wire this successfully? Thanks. I have new construction and need two volume controls for the outdoor speakers, both are outside and in covered areas, would these be ok to use. They are not exposed to rain. The boxes are already flush mounted. I thought I read something about these not being able to turn volume up, only down..is that correct? I want to install 2 speakers in my kitchen, 2 in the living room and 2 outside on the patio. If i have a receiver from my home theater system, do I still need another one or an amplifier? How should I wire them?Which control system would you recommend and which volume control? Hi TL, One last question on this 3 speaker layout to make sure I have thoroughly beat this horse to death. 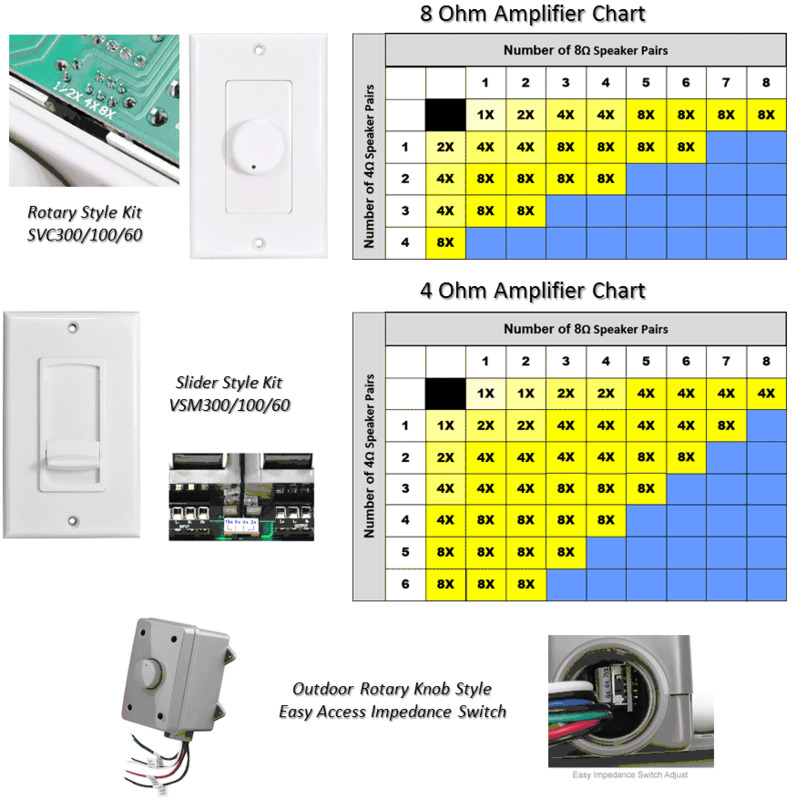 Attached is a wiring schematic is created as reference to make sure we are on the same page. You said I should buy 3 of the dual voice coil speakers (ICE640TT) and I should run 4 conductor wire to one speaker (lets say speaker S2) and then only 2 conductor wire to the other two speakers (speakers S1 & S3). I was wondering what the reason was for having speakers S1 & S3 as dual voice coils when you are recommending I only power one voice coil on each of these speakers? Couldn't I just use two single, 8 ohm voice coil speakers and one dual voice coil set to 16 ohms instead? I am having trouble with Bose 151 speakers. When I hook them up two of four speakers work. On the first receiver I thought one side of the receiver was bad. It appeared the left side was gone. I then hooked up a different receiver and had the same problem. I was told I need a impedance matching volume control. Will this correct the problem? Our church wants to put a speacker with a volume controller switch in our nursery can you hook this up to a sound board?? Can I put 2 pair of speakers on 1 svc100? HI Ken: Yes you connect two 8 ohm speakers with this volume control. The power rating (100 watts) pertains to the amplifier or receiver that you are using. If you were running a 150 watts plus you would want to step up the SVC300. Note, If these are the only speakers you are connecting to the system then set the impedance matching to 1/2X. The speakers should be run in parallel (connecting the positives together and the negatives together seperately) The amplifier should still see an 8ohm load. Does this control turn the speakers off the the volume is all the way down?